Stunning Eco-Lodges & Stunning Locations Combined. Couples, families, or groups who want to connect with nature across the country. See some of Costa Rica’s most beautiful spots in this vacation package that takes you to the country’s best eco-lodges. If you wish to see exotic wildlife and some of the most spectacular birds in the country, then this Costa Rica nature package is definitely for you. Arrive in the country at the capital, San José, and head to the rustic mountain town of San Gerardo de Dota, home of the magnificent quetzal. Unwind for a couple of nights while enjoying this secluded hotel, and then head to sunny the Manuel Antonio. Here you can work on your tan and enjoy nature and wildlife like nowhere else – Manuel Antonio is famous for being the place where the beach and the jungle meet. Take a guided tour to the national park of the same name, and discover the nature and wildlife of the Pacific coast. Return to the mountainside and visit the beautiful Arenal area, with the world-famous volcano that carries the same name. Stay here at an award-winning luxury hotel, the Arenal Nayara, famous for their personalized service and volcano views. This is the opportunity to go exploring. Go on an exciting and exclusive boat tour on private property, where you will find an impressive wildlife sanctuary with plenty of chances for animal sightings. From here you will take an exciting white water rafting tour and transfer to a three-day adventure in the lush jungles of the Talamanca mountains in the Caribbean. 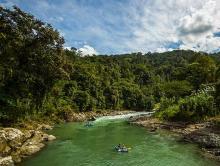 The hotel is hidden away in the jungle, and the way in is rafting across the river. 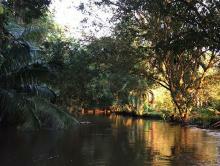 Stay at the Pacuare Lodge, a true eco-resort, surrounded by incredible wildlife. 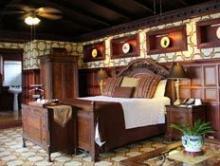 Finally, go back to for the tranquil Grano de Oro Hotel for a splendid evening in the Central Valley. You will go back home feeling truly rejuvenated after a week in eco-paradise! What’s included in ‘Eco Lodge Combo’? 2 nights at Savegre Lodge—including 3 meals daily. 3 nights at Tulemar Resort. 3 nights at Arenal Nayara—including daily breakfast. 2 nights at Pacuare Lodge—including 3 meals daily. 1 night at Grano de Oro. Shared transportation for the following tours are included in the package. Manuel Antonio National Park guided tour. Caño Blanco Nature Sanctuary tour in Arenal area. Arrive in San José where one of our representatives shows you to a private transfer. Get on the way to the mountains and stay at Savegre Lodge. Start your vacation with proper relaxation by disconnecting from the outside world at this mountain lodge. Visit the lovely paths or indulge at the luxurious spa to soothe sore muscles after all the walking. Keep your eyes open for the abundant amount of birds, and perhaps you’ll be lucky enough to see the elusive quetzal! 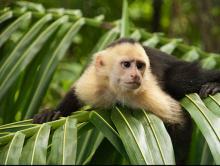 Take a private transfer to Manuel Antonio where you will stay in a villa at Tulemar Resort. Visit the national park to admire the lush jungle right next to the ocean. Learn from an expert guide about the tropical flowers, trees, and animals. Keep an eye open for the chance to see singing birds, monkeys, and even sloths! 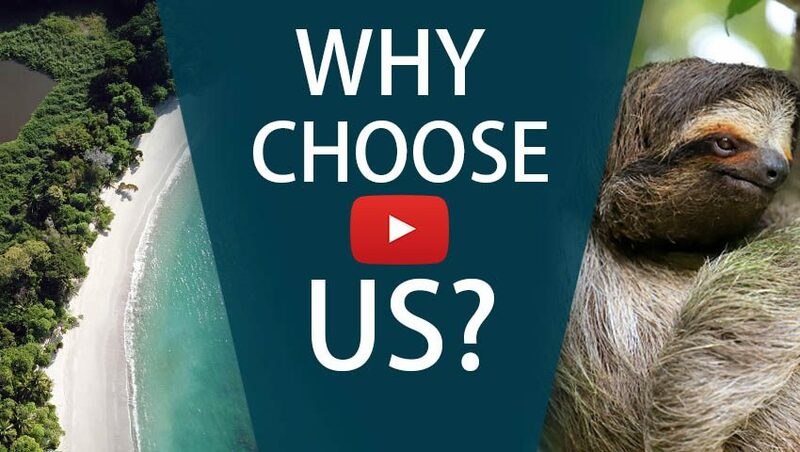 Make the most out of your stay in Manuel Antonio. Go to any of the beaches, explore the nightlife of the Quepos area, or just relax in your suite. A private transfer takes you from Guapiles to the lush area surrounding the Arenal volcano. Stay in the luxurious Arenal Nayara Hotel & Gardens. 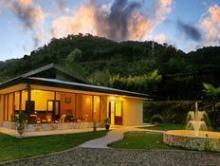 This eco-friendly property is surrounded by lush vegetation with views of the volcano. Go on a boat tour through a private wildlife sanctuary to see birds, monkeys, caimans, and other exotic animals, and then finally arrive at the Caño Blanco lagoon for a truly unforgettable adventure. Then return to the hotel to rest. Breakfast is served in your room, and in the evening you can sip excellent vintages at the Nostalgia wine bar. Their spa and restaurant are not to be missed, either! Say goodbye to Arenal and head to the Caribbean jungle. The adventure begins on the way – do an exciting whitewater rafting tour with III and IV class rapids, a number of waterfalls, a great swimming hole, and lunch on the river bank before arriving to a secluded Costa Rican eco-lodge set on the Caribbean side of the Talamanca mountain range. 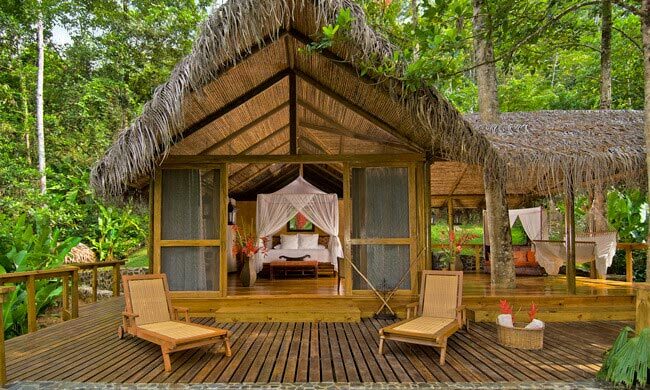 The pristine rainforest surrounds the bungalows at the Pacuare Lodge, offering privacy and a serene atmosphere. Enjoy your full meal plan, explore the natural paths, or relax in your comfortable cabin. Enjoy the sounds and sights of nature with a true off-the-grid experience. Leave the adventure behind and take a ride to the boutique hotel Grano de Oro to spend a relaxing evening enjoying one of the best-rated restaurants in the country. Make the last stay in the country unforgettable with a high-end meal and rest in a hotel with the atmosphere of a home. Take a private transfer to the San José International Airport to catch your flight back home. So long, and until you a Costa Rica meet again! This unique jungle lodge is a birdwatchers paradise, set next to the Los Quetzales National Park in the sleepy village of San Gerardo de Dota. Grano de Oro Hotel is a surprising oasis in downtown San Jose downtown, offering boutique-style services, luxury accommodations, and one of the finest restaurants in the country.